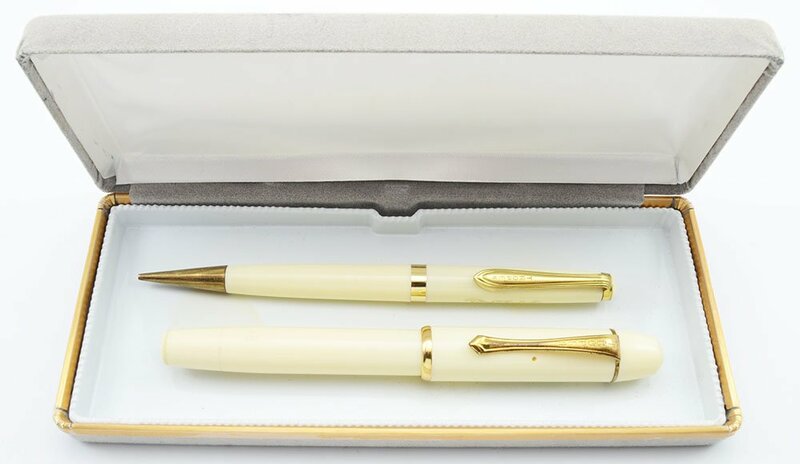 Tropen 100 fountain pen and mechanical pencil set in ivory. 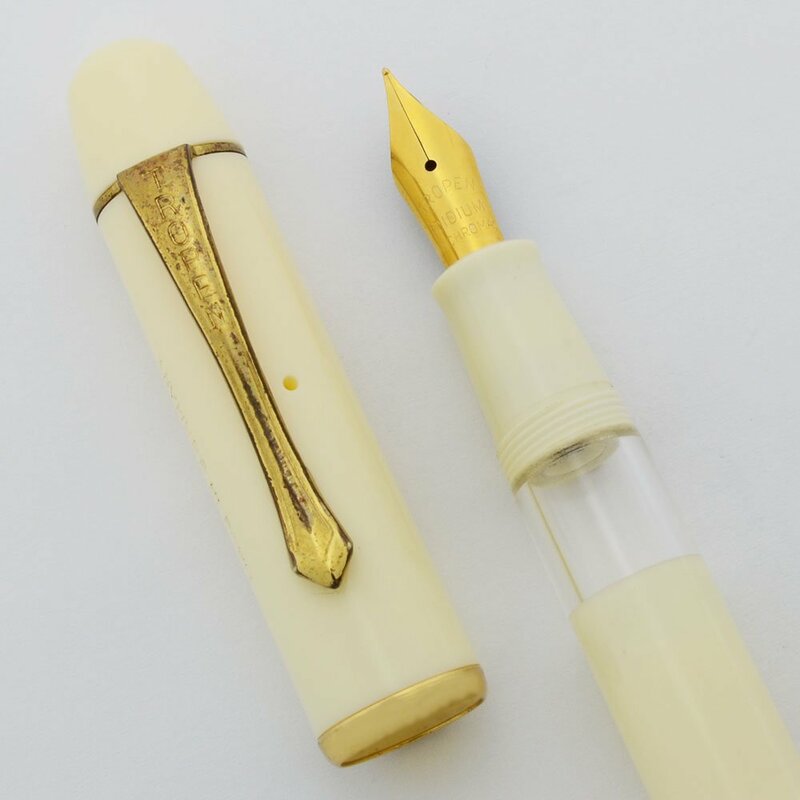 The fountain pen is a piston filler with a fine gold plated nib. The mechanical pencil has a twist mechanism and takes 1.1mm leads. The set is in very nice condition and ships in a box. Product Name 100 as identified near the piston knob. Manufacturer and Year Tropen, made in Germany -- 1950s or 60s. Length The fountain pen is 5" and the mechanical pencil is 5-1/8". Filling System The fountain pen is a piston filler. It has been tested and holds water well. The mechanical pencil takes 1.1mm leads and uses a twist mechanism on the cone to extend and retract the points. It works well. No eraser, but there are extra leads in the barrel. Color Ivory with gold plated trim. Nib FINE gold plated steel nib. The nib is identified as a fine towards the end of the barrel near the piston knob. Condition Excellent condition. The fountain pen and mechanical pencil both have thin plating which shows wear on the clip bands and clip. The clip wear on the sides of the pen and the cone of the pencil are the most worn. The piston knob of the fountain pen beneath the blind cap has tool marks. The imprints are clear. The set ships in a gift box.